Currently, smartphones are designed in a variety of ways. The OPPO Find X and the VIVO NEX launched in the first half of 2018 came with a lifting structure on the top, while the Xiaomi Mi MIX 3 and the Nubia X released in the second half came with other approaches such as a sliding screen and a dual-screen, respectively. Thus, to provide a genuine full-screen design and experience, the manufacturers have offered a few models. In this sense, if the sliding screen design is the modified variant of the pop-up front camera technology, the dual-screen isn’t new and has been seen on other models previously. Of course, when talking about a dual-screen smartphone, the first thing coming into our mind is the Yota Phone, a Russian brand that has been making similar smartphones for a while. Well, as you guess, we are going to talk about the pros and cons of dual-screen smartphones. This has become more interesting when the second-gen VIVO NEX came with such a feature. VIVO that has been always known for its innovative technologies and is the world’s first company to release a screen fingerprint technology has decided to design a dual-screen smartphone. This simply means there could be an opportunity for such kind models. In the current smartphone industry, where all models look like identically, the dual-screen smartphones may attract consumers’ attention. Of course, the launch of each new design requires the development of corresponding apps. If there are not a sufficient amount of supporting apps, it will be eliminated by the market. The ‘death’ of Windows Mobile OS is the best example. So where is the real application scenario of the dual-screen mobile phone? In the pursuit of the ultimate full-screen today, anything that will affect the display area of the front panel becomes an ‘enemy’ that should be defeated by smartphone manufacturers. And the names on this list are familiar to us: earpieces, chins, sensors, borders, etc. Along with the large-scale use of AMOLED screens, the promotion of COP packaging and the advancement of this technology, these ‘old enemies’ have either been killed or transferred to other places. But there is one feature that doesn’t yield its positions and seems it will be fighting to the end. It’s the front camera. In other words, the front camera has become the biggest obstacle to the ultimate full-screen. All the current approaches, including the bangs, lifting or sliding structure, and the drop-screen, were invented to solve the problem related to the front camera. Also Read: What Kinds of Full-Screen Design Have Emerged This Year? The bangs screen is the most common ‘treatment method’ at present. It is straightforward and requires no additional hardware. The notch part can be big or small. As you remember, initially, it came our way from the Apple iPhone X, but currently, it can be found on tons of smartphones, including the very low-end models priced at $100 or less. Of course, there are many Chinese smartphones the notch area of which carry identical components as the iPhone X. The most popular of them is the Xiaomi Mi 8. But due to the increased number of various components such as infrared sensors and other, the bangs are has become wider. And we have to admit it doesn’t look good. Apart from the appearance, it contradicts the concept of the genuine full-screen design. In this sense, today’s dual-screen smartphones are actually a compromise for ‘real full-screen’. Both dual-screen smartphones currently available on the market have abandoned the front camera in order to improve the screen ratio of the front display. But the selfie shooter and other functions are required. That’s why they have decided to use the secondary screen on the rear. 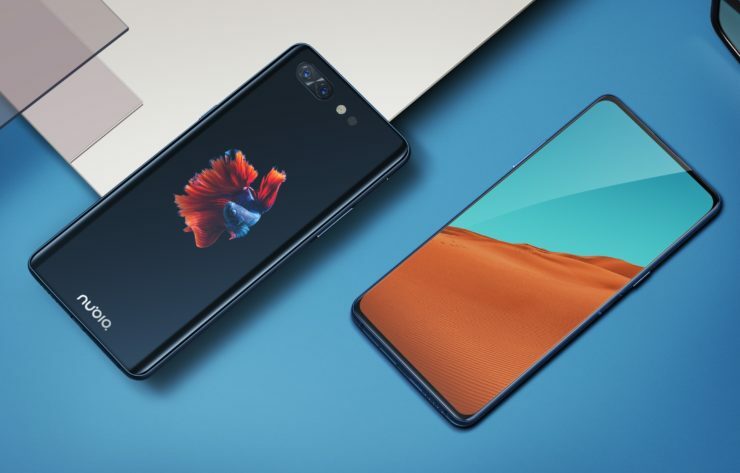 As a result, the Nubia X’s screen ratio reached 93.6%, while the VIVO NEX dual-screen version accounted for an astonishing 96.3%, close to the real full-screen. Generally speaking, users do not need a front lens for surfing the Internet, watching videos, etc. For the mentioned cases, users can use a relatively large screen. And when users need to make a video call or a take a selfie, then they can use the display on the back. The appearance of the dual-screen smartphones has deeply unlocked the dual-app scenarios that mainly refer to the selfies and playing games. The dual-screen smartphones have also developed a ‘help shot mode’, which can only be achieved in this form. Thus, when taking pictures of others, users can simultaneously open two screens on the front and the back, and the person being photographed can adjust the posture and expression at any time. In addition to selfies, playing games is one of the most popular things users do on their devices. The multi-tasking application brought by the dual-screen system makes dual-screen touch possible. If the game supports it, the dual-screen phone can support a 4-finger operation. In the case of split-screen multitasking, dual screens also have a good operational bonus. For example, you have a Facebook message when watching a video. Now you don’t need to switch out the video at all. Just turn the phone over and return to the video again. Thus, the dual screen can solve the pain points that have not been deeply dealt with in the past. To some extent, the current dual-screen smartphone is still in a process and stage in the pursuit of the ultimate full-screen. From the perspective of development trend, the real solution of the full-screen may be the same as the screen fingerprint, which is the screen camera. Today’s smartphones carry too many functions. But in addition to ensuring performance and functionality, they also pursue the ultimate in appearance. 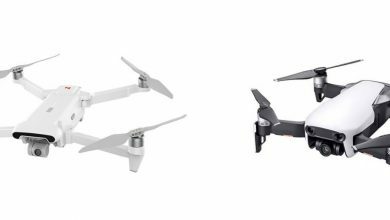 Judging from the comments of some social platforms, the dual-screen is quite controversial because it affects two main features: on the one hand, the fuselage becomes thicker, and on the other hand, the battery capacity is reduced. The difficulty of getting rid of the dual-screen smartphone is the increase in thickness or weight. Because of the addition of a screen, it is equivalent to adding a complete screen component at the back of the fuselage. In a limited body and interior space, thickness, weight, and battery are the first to be traded. The battery capacity is reduced, and if the two screens are used together, the power consumption will definitely increase exponentially. In terms of price, the cost of two screens will naturally rise. So the dual-screen smartphone will be slightly more expensive than the single-screen flagship. The dual-screen smartphone is obviously only a transitional product. In the future, with the development of the camera under the screen, the rear screen will also be in an awkward position. As we said at the beginning of the article, the concept of a dual-screen smartphone is not anything new. But in the past, the dual-screen of a smartphone was considered to be a design element only. The secondary screen was used to browse time and text messages only. In fact, there have been many different dual-screen phones. For example, the Samsung Continuum puts the secondary screen below the main screen to display regular notification information and some function buttons. The similarly designed Motorola Wilder and Samsung Galaxy Note Edge use the main screen and the secondary screen in the same panel. But in this design, the function of the secondary screen can be directly implemented on the main screen. So the design of the secondary screen seems a bit redundant. In recent years, the first dual-screen smartphone that has a deep impression on Chinese consumers is the Russian Yota Phone, which was presented at the 2014 APEC meeting. As a true dual-screen smartphone, the Yota Phone adds an ink screen to the rear panel, which is equivalent to placing the Kindle on the back of the phone, and its features are the same as the Kindle. As there will be power loss, this phone is more suitable for reading. But at present, the domestic manufacturers have not followed the concept of one color and one ink screen. However, one of the most popular dual-screen smartphones is the Kyocera Echo, which combines two smartphones with identical screens by hinges to form a smartphone that can be flipped back and forth. Later, ZTE’s Axon M was apparently borrowed from this approach. Will dual-screen smartphones become a trend? 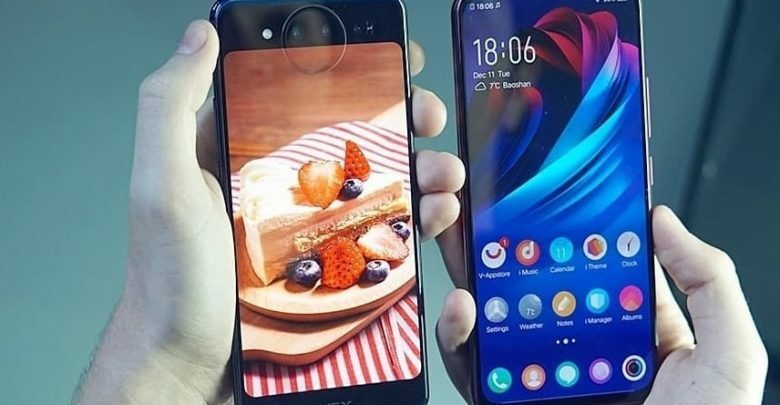 Obviously, dual-screen smartphones are subject to technology, the convenience in use is limited, and the screen quality is not as good as that of single-screen. So taking into account these limitations, we can mention at least two reasons why it can’t become mainstream now. Though it’s not difficult to make a dual-screen, we should pay attention to the fact it still requires to purchase components. For example, what kind of screen to buy, what is the internal cable design, etc. This requires the phone’s designer to conduct special research, which undoubtedly increases the complexity of the phone’s wiring, and has a higher demand for heat dissipation. If the manufacturer decides to use all the best components for both screens, the final handset will cost a fortune. Moreover, the screen cost occupies a large part of the components cost, especially the high-end screen. We mentioned two advantages of dual-screen smartphones in terms of software. But actually, the launch of dual-screen smartphones not only needs technical support but also the cooperation with the system. Google has already specially optimized its operating system for folding phones, and maybe in the nearest future, we will see more commercial models. The same is true for the dual-screen smartphones. Compared with the traditional smartphone, the operating system of the dual-screen smartphone increases the learning cost. Simply put, the consumer also needs to spend more time to adapt to the development logic of the dual-screen smartphone. Accordingly, the app developer needs more time to address these dual-screen devices for special optimization. So we can even state the secondary screen is more like the expansion of the main screen, and there is no special feature assigned to it. Honestly, dual-screen smartphones have been always in minds of the manufacturers. There have been too many attempts to bring something worthy to the market. But the truth is none of them succeeded. Today’s dual-screen smartphone seems to be the same as a folding screen phone. It is more like to give users a choice, but it is very difficult to replace the current single-screen handsets.